Nollaig Shona Duit! * Here’s a little something for your Christmas stocking. The Making of the Peterson Pipe, a point-of-sale video made a mere eighteen years ago, is from an era when the only people to see it would be those fortunate enough to find a tobacconist who sold enough Peterson pipes to justify playing the video from a small television sitting atop the counter. It’s fascinating for any number of reasons, but rather than tell you I’ll let you light up that new Christmas pipe and find them for yourself. Enjoy! 01:58 Even as late as 1998, the company was still thinking of itself as Kapp & Peterson. There’s nothing wrong with the switch to “Peterson’s of Dublin,” and obviously it makes sense from a business perspective. But this is not the historical reality, and every once in awhile we ought to remember that for over a century, the company thought of itself and was thought of by pipe smokers across the globe as Kapp & Peterson. Peterson released their Molly Malone: Cockles and Mussels commemorative set a few years back (but still available), which featured the unusual use of a tan acrylic swirl stem reminiscent of the early K&P horn stems which one sees all too rarely on the estate market. 02:27ff The beautiful old shop at 117 Grafton Street. Note The Thinking Man flat-back plaster sign above the entrance. He had suffered quite a bit from the glass-house effect of the “protective” acrylic glass by 1998, evidenced by the bare plaster-work (originally he was painted). He was taken down and restored when Peterson moved its shop around the corner to Nassau Street. Anti-tobacco laws currently prohibit Peterson from re-installing him over the new shop. 03:01 That’s long-time Peterson shop veteran Brian Treacy behind the counter, who will still gladly help you with your pipe, cigar and tobacco needs at the Nassau Street store. 03:45 Notice the video begins with a cigar push. Cigars were still the thing in the late 1990s, and Peterson was aggressive in its marketing, placing them in the front of their catalogs and brochures of the period. 04:00 The man Brian is selling the cigar to is actually another Peterson shop veteran, John Dromgoole. 05:32 At last, the pipes! Per Jorgen from Denmark, the older gent is Seamus–Seamus Tighe, who according to our oral histories of K&P employees, was manager of the 55 Grafton Street store. His father, Jimmy Tighe, also managed one of the Peterson shops in Dublin. We have some delightful anecdotes to share concerning both father and son in the book! 06:12 That’s master craftsman Joe Kenny on the left and Tony Whelan, Sr. on the right. Whelan was factory manager at the time, although has since retired. 06:45 Whelan points out the grain in the rare Peterson Free Hand, known as the Plato in the U.S. and the Barktop in Europe. This is the only pipe Peterson makes from plateau briar. You can find them at Cupojoes here in the U.S. and Bollitopipe in Italy. 07:00–23:00. This is a much more relaxed tour in the “making of” the Peterson pipe than the one done in the 150th Anniversary film. I prefer it over the recent, more visually sophisticated version, just because it does give you a methodical demonstration of each of the steps. 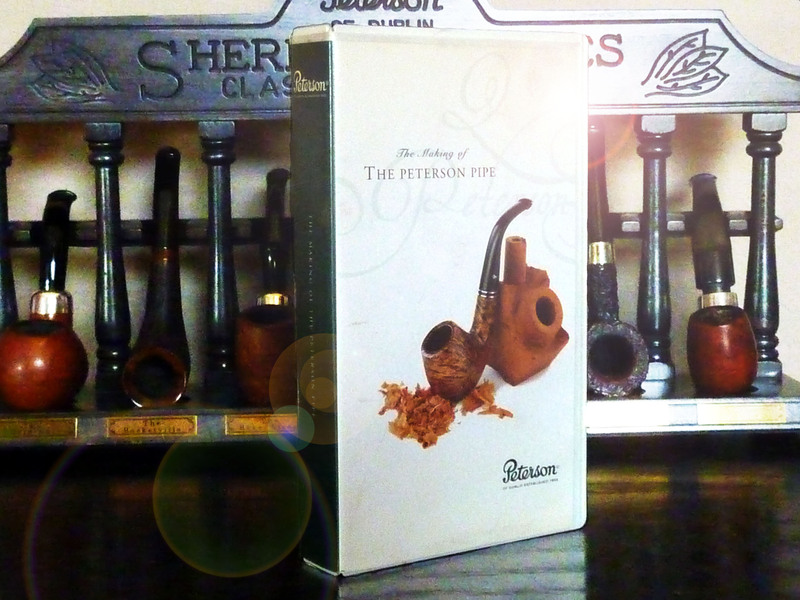 Unlike so many other pipes companies (Dunhill comes to mind, but there are a number of them), Peterson has always been very transparent about what they do and how they do it. Their honesty, integrity and human sense of proportion about what matters and what doesn’t puts them above all the rest, in my opinion. 14:00 Notice the darker stain is applied and burned in first, then “mopped” (sanded) off before the lighter stain is applied and burned in and a third, final coat of the lighter stain applied and wiped (not burned) off. 15:27 This is a great visual treatment of how the aluminum P is heated and pushed into the mouthpiece. These aluminum Ps, by the way, go back to around 1953, although they weren’t used with any great frequency until the 1980s. 22:12 The COM (Country of Manufacture) stamp, MADE IN over THE REPUBLIC over OF IRELAND was still in use in 1998. It has since been gradually phased out, replaced on most pipes simply by Peterson’s over Dublin. 22:38 That’s Doris Barrett, in charge of the warehouse and a Peterson employee for a long while—one of only two current Peterson employees who worked at the factory in the old factory at Stephen’s Green. This was great fun to watch. Will this be a Christmas tradition? If memory serves me, it was also at Christmas that you unveiled the 150th making of video. Thanks for sharing this great video and have a Merry Christmas. Mine is already feeling much merrier now. Thanks, Mark, and thanks for your help on the book! It is much appreciated. Thank you for the great Christmas present, Mark! What a wonderful Christmas gift to Peterson lovers! That transparency is outstanding, including the marking of fills. Do you know what grade pipe that is being completed? I’d heard that Peterson “dip stains” their pipes (and applies the bowl coating) so I’m guessing this example is a higher grade? (Deluxe+?) Thanks for sharing this video with the Peterson faithful! Some pipes are dip-stained, but many are not. All shall be revealed in this regard in the book–down which which lines are and which are not. 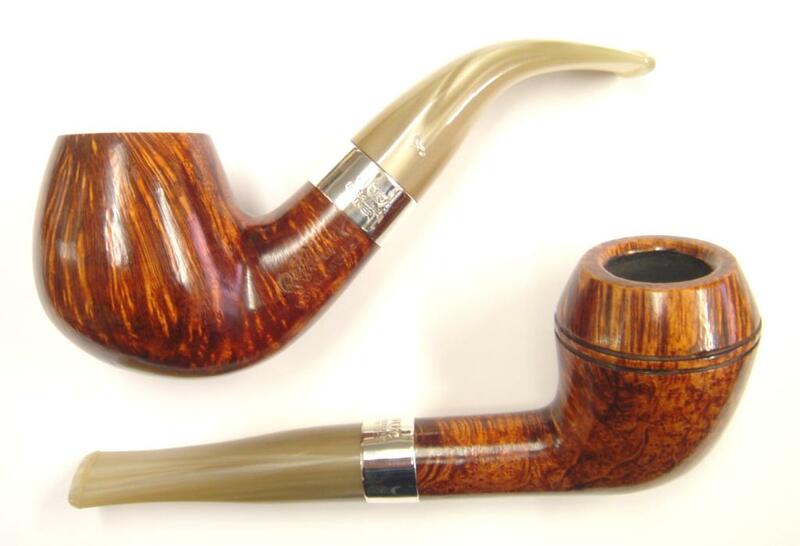 The pipe shown, a sterling-mount, is a high grade, but what is the shape? It’s an embarrassing confession, I know, that I shouldn’t be able to tell at a glance, but I can’t figure it out. Is it an XL90? It looks too large for a 220. Ah, I love a book trailer! XL90 did come to mind, I was smoking one this afternoon! Seamus and have had a long time in service.His father was with the firm until he was 80. After Seamus John became the boss of the shop. Thank you, Jorgen! I have incorporated this into the notes. Many thanks for an enjoyable and informative video! Thanks Mark for this great piece of history! Much appreciated. Thanks for the video. I don’t think they wax the inside of the bowls anymore. I though I recognized the cigar customer as John, the current store manager! Yes, indeed! that’s him. I wasn’t aware they ever waxed the insides of the bowl, although staining the inside was a problem for a long, long time. They don’t do that anymore, either, except the very lightest of touches on the Natural high-grade pipes–they believe the pipe should look beautiful at point of sale, and don’t want simply bare wood. PS Maybe all the videos could come on a DVD with the book! At one time I had wondered about that. There is a third, “mystery” video, that I plan to screen at the book launch. It’s the best of the three, in my opinion. OK, NOW I’m doubly stoked!!! And, you’re going to let us know when/where the book launch will be?